Macpherson, Ian. "Grain Growers' Associations". The Canadian Encyclopedia, 16 December 2013, Historica Canada. https://www.thecanadianencyclopedia.ca/en/article/grain-growers-associations. Accessed 23 April 2019. Grain growers' associations are a group of farm organizations formed on the Prairies in the early 20th century. They developed in the wake of the Manitoba Grain Act (July 1900), which regulated railways and grain elevators in the interests of grain growers. Grain growers' associations are a group of farm organizations formed on the Prairies in the early 20th century. They developed in the wake of the Manitoba Grain Act (July 1900), which regulated railways and grain elevators in the interests of grain growers. This Act, the result of considerable agitation in rural areas since the late 1880s, was regarded by farmers as a major victory. But dissatisfaction with the handling of the 1901 bumper crop led farmers at Indian Head (in present-day Saskatchewan) to convene a meeting in December 1901, at which the Territorial Grain Growers' Association was formed. The Manitoba Grain Growers' Association, established 1903 at Virden, followed. In 1906 the Territorial Grain Growers' Association was divided into the Saskatchewan Grain Growers' Association and the Alberta Farmers' Association. The latter joined with the Canadian Society of Equity to create the UNITED FARMERS OF ALBERTA in 1909. In 1920 the Manitoba Grain Growers' Association was reorganized as the UNITED FARMERS OF MANITOBA in an attempt to gain the support of all farmers and to proclaim an intention to enter politics. 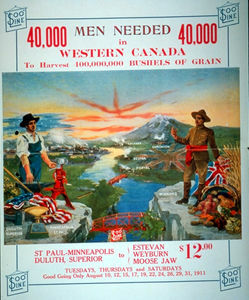 The Saskatchewan Grain Growers' Association amalgamated with the Farmers' Union of Canada in 1926 to create the militant UNITED FARMERS OF CANADA (Saskatchewan Section). Grain growers' associations were powerful spokesmen for the Prairies and Canadian agriculture generally. 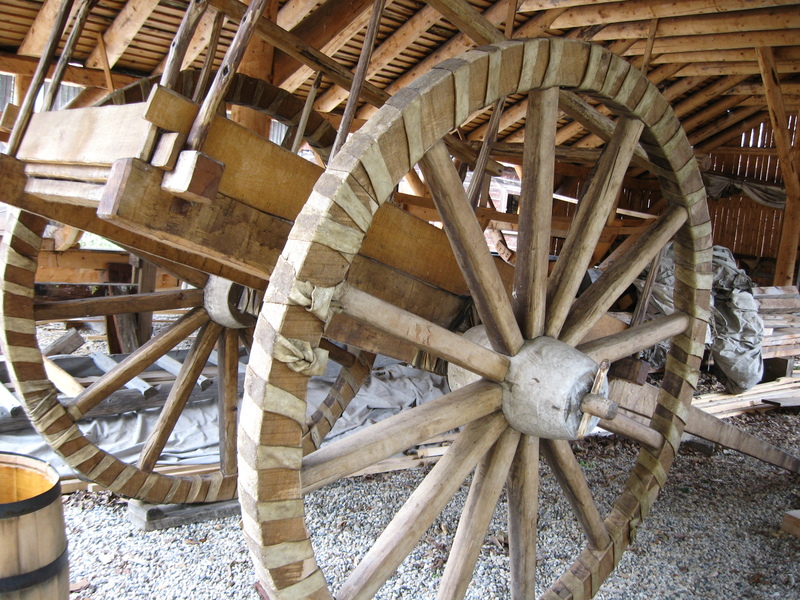 They lobbied provincial and federal governments for reform of the grain-marketing system and improvement of rural life. They sponsored the development of 3 large farmer-owned grain-marketing organizations, the Grain Growers' Grain Co (1906), the Saskatchewan Co-operative Elevator Co (1911) and the Alberta Farmers' Co-operative Elevator Co (1913). They published the GRAIN GROWERS' GUIDE 1908-28, which was the main voice of western agriculture until the mid-1920s. The associations agitated for better roads, schools and medical care for the countryside. Particularly responsive to the plight of rural women, they embraced WOMEN'S SUFFRAGE and helped to win the vote for women on the Prairies during WWI. Technically, the associations were politically neutral, but some early leaders, such as Liberals C.A. DUNNING, W.R. MOTHERWELL and T.A. CRERAR, achieved national political prominence. Politics, however, was a vexing issue for the associations and was one of the reasons they disappeared after farmers began to assert themselves and demand a more direct voice in the political process.